Energy has no doubt become one of the most fundamental elements, this element 'ENERGY' is the domain of TOTAL ENERGY INFORMATICS (TEI). The unmatched quality with its profound understanding of the energy sector, makes www.theenergyinfo.com THE SUPERLATIVE information source of choice for companies involved & looking for business opportunities in the Refiner, Oil & Gas, Petrochemical, Pipeline, Power and Water sectors within GCC & India. Excellent business information is a must-have tool for anyone seriously building a profitable business, and we at www.theenergyinfo.com strive to provide that kind of intelligent information. Our aim remains to ‘re-define project information sourcing and no one does it better than us’ as we provide quality information at the right time, which have and will; directly or indirectly; lead our subscribers to have a slice of the on going trillion-dollar energy projects. 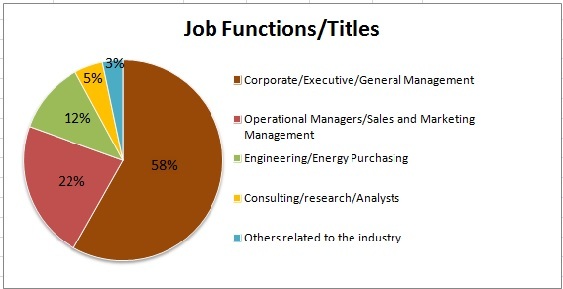 Project Databank comprises of quality information on energy sector projects. 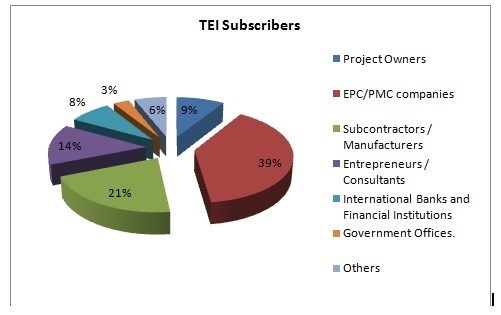 A user friendly interface accompanied by authentic market intelligence information comprising of project summary, scope, status and key personnel’s, project equipment list, contract value covering GCC and India delivered with a click of the button on to the subscriber’s desktops makes www.theenergyinfo.com a comprehensive business tool for top decision makers of the industry. This feature is a complete software tool in itself. You can use it to generate all inclusive / specific reports such as Total Value of Contracts Awarded in GCC’s Petrochemical sector and further you can zoom in to generate projects by a particular client in particular sector/region. Not only you can get summary of such reports in printable and word format, but you can also have it in your inbox. For those who are interested in pictorial representation, this tool generates pie / bar charts for instant and easy understanding. Everyday contract activity is now presented in a more refined way. It lets you dive straight into content you are most interested in, like contracts awarded and contracts to be awarded in particular energy sector or particular region or by a particular client. All contracts are available with the point of contact. Tenders section focus on small contract values like project subcontracts, supply of material, operation and maintenance etc. Subscribers can view entire listing starting from the latest tender in one click. You can also filter as per your requirement to a particular country and a particular sector. A single point of contact to take advantage of precise marketing. Increase your customer base and explore, earning new clients and business opportunities. Our service that you can nourish on, services are around the clock (24/7). Lowest price for the quality service in the market. Works as your project consultant thus cutting down on your research costs & time. Adding flexibility to use the website without any fuss. Tailor made research reports from the desk of our research team. Bridges the gaps between you and the key industry players by bringing you directly in touch with them. Saudi Arabia India Global Tenders TEI Business Intelligence Oil and Gas Advertise your company brand on our website. UAE Project Structure Water Subscribe and submit your company logo and we advertise it on TEI global.